RE: Settlers traveling West taking fireless cookers with them on wagon trains. I’m inclined to say, “No way!” Mainly due to the amount of space available for people’s belongings in a wagon. Why drag that thing with you, when it’s just as easy (perhaps even easier) just to build a fire where you stop? They seem highly impractical for such a trip. 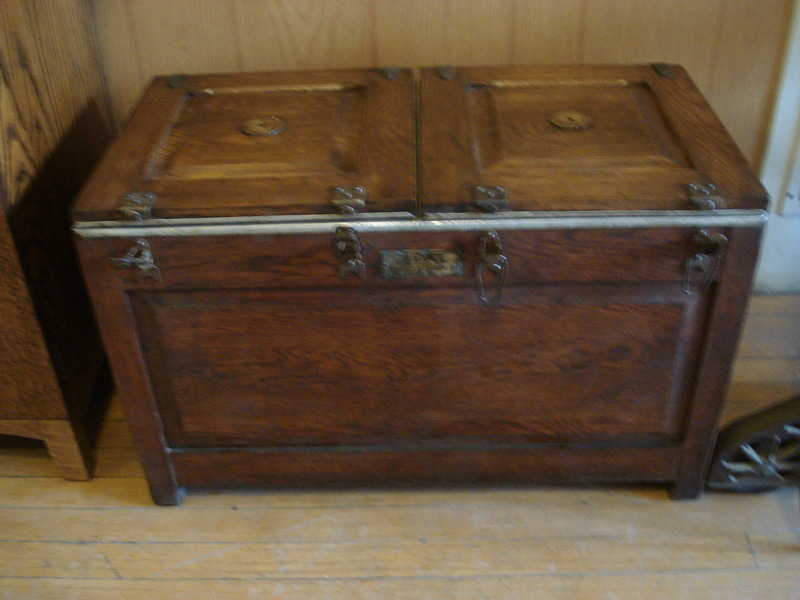 Besides, if someone had to chose between a trunk of personal items, a few basic pieces of cooking equipment, and several farm implements OR a fireless cooker, most likely it’d be the former. Not to mention the added weight; lugging it over rough trails, fording rivers and streams, trekking through valleys and over hills and mountains. It’s well known that people headed West had to chuck numerous items along the way as it is, for those very reasons and more. I agree on all counts. I’ve seen one of these and photos and illustrations of several – they’re large and bulky and would have taken a lot of space. I’m not sure where the notion they would have been used on that sort of trip originated when the westward migration on the trails was long over by the time they were being advertised and written about in the U.S. It may be one of those things where someone didn’t do their homework and wrote about it and then it got picked up by others and distributed to the masses. Thanks for sharing, I enjoyed reading your thoughts. I seriously doubt the wagon train application is accurate–a lot of bulk and weight in an already cramped wagon. I used to be a volunteer docent for a local living history museum and we had (and sometimes cooked in) our fireless cooker on the 1900 era farm. We were portraying the lifestyle of a prosperous farm family. This might be more of a “nice to have” rather than a commonplace kitchen accessory during that era. 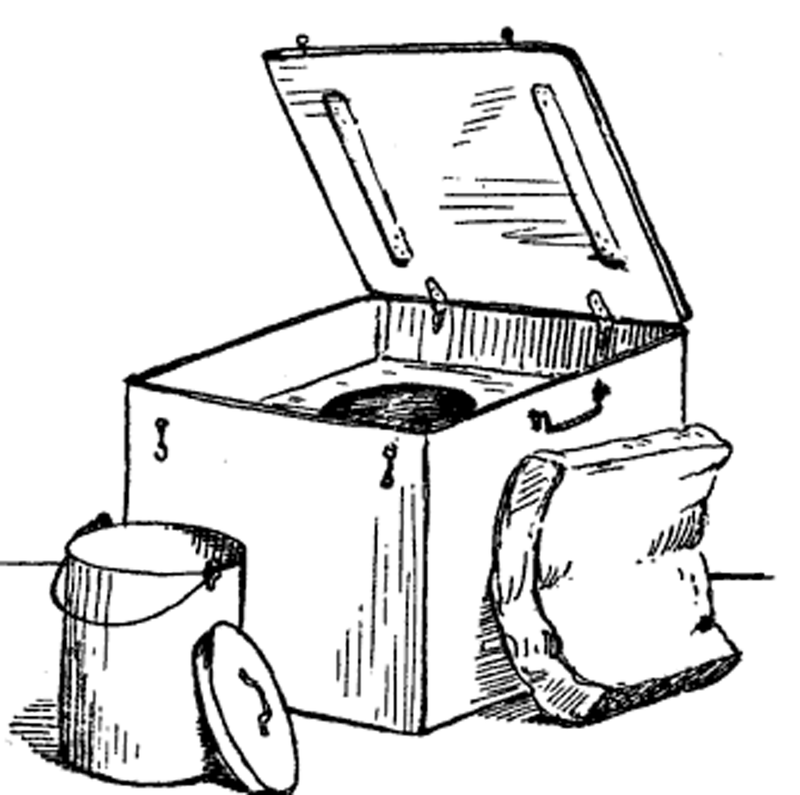 By the way, one of the anecdotes the staff discovered was that a farm wife that used the fireless cooker for preparing the morning oatmeal was considered suspect…and somewhat lazy for not rising at the crack of dawn or even earlier to prepare breakfast for her family and the hands. Fran – I agree – it was likely the new fad just as we see things advertised on TV today that have no practicality. They look good until you try to use them and realize it hasn’t bettered your life any – like the cake pan I have that is supposed to make this awesome shaped cake, except that no matter how you treat the pan the cake sticks in all the crevices and comes out a mess. 🙂 Glad you enjoyed the post. 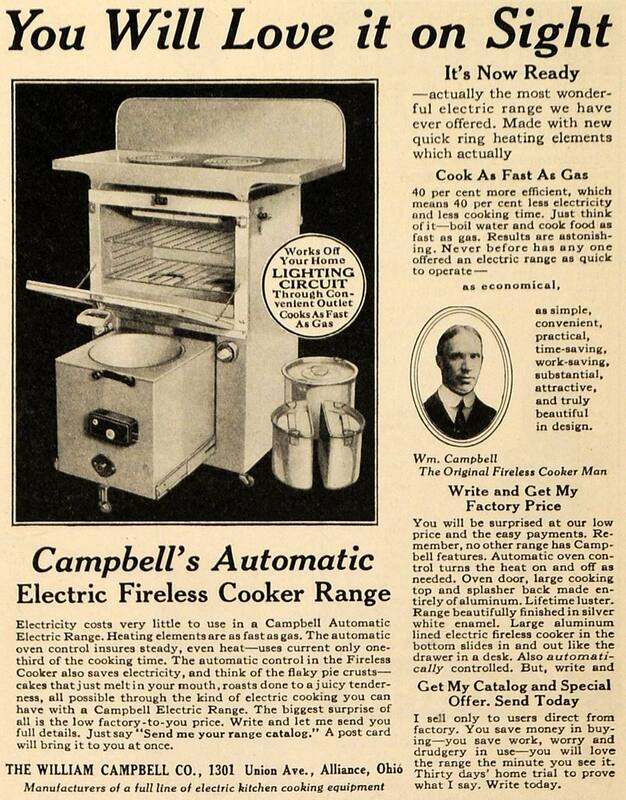 I enjoyed your post on the fireless cooker. I am using a very simple modern equivalent in my kitchen right now and it is working very well for keeping hot foods hot until serving and raising yeast dough. I am looking forward to experimenting with cooking in it. We will be remodeling our kitchen in the coming year and are planning to make room for one of these rascals! 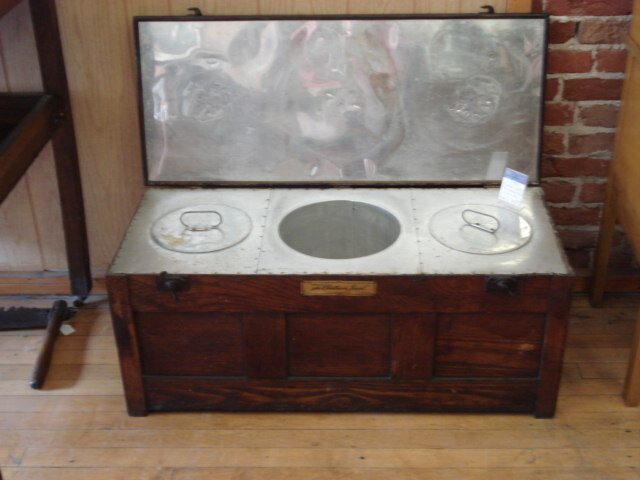 Recently I found a stove in a local antique store that has one built in. Where the back right hand burner should be, there is a round opening with a lid. There are three tall containers that fit together that drop down into the opening. 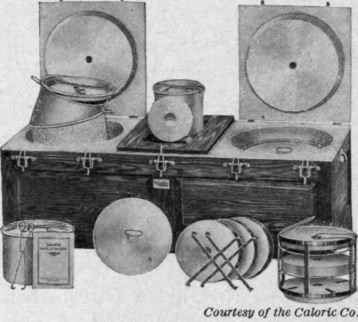 Picture this – if you had a tall round kettle, and divided it top to bottom into three pie-shaped pieces that is what the set-up was. It is possible to cook three separate dishes in the fireless cooker at once. The stove was pricey and it would have to be safety-checked and because of its age would have to be cleaned up and tweaked a little, but it was a neat find. The Japanese have used something similar for centuries (https://www.bonappetit.com/test-kitchen/tools-test-kitchen/article/donabe-japanese-ceramic-pot).